Real estate listings in Laguna Niguel, California are always hot properties. Perhaps it is because Laguna Niguel is a beach community and perhaps it’s because the city is one of the most prolific and most popular cities in Southern Orange County. Residents of the city will tell you that picturesque Laguna Niguel homes lend themselves well to individuals who appreciate fine upscale living conditions and a quiet safe neighborhood. Laguna Niguel houses are always built with great care and are some of the most luxurious and spacious homes in California. 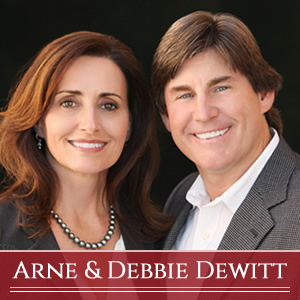 As always when you come looking at homes for sale in Laguna Niguel purchase you’ll want to be sure that you have someone on your side to show you all of the properties in Laguna Niguel that are available through the Laguna Niguel MLS. Your Realtor will show you not only homes but Laguna Niguel condo’s as well. In fact condo conversions in Laguna Niguel are quite fashionable. The condo’s within the city are the perfect housing solution for those people who have yet to start a family and have little need for the extra space a traditional home would provide. With many different types of homes for sale in Laguna Niguel there is something to be found for anyone who might be considering a move to this city. Laguna Niguel is a 14.72 square mile planned community in South Orange County, California and is located halfway between Los Angeles and San Diego. It is surrounded by the cities of Aliso Viejo, Dana Point, Laguna Beach, Laguna Hills, Mission Viejo and San Juan Capistrano. It is a General Law city with municipal elections in November of even numbered years. Existing and planned use of Laguna Niguel´s 9,456 acres includes 3,549 acres residential, 276 acres commercial, 223 acres mixed uses, 222 acres public/institutional facilities and 3,650 acres designated to parks and open space. The City has 63,055 residents. Census 2000 indicates that the median age is 37.5 and the City´s age demographics are: Under 20 = 28.6%; 20-34 = 16.7%; 35-54 = 37%; 55-64 = 8.8% and 65+ = 8.9%. Laguna Niguel has a long and rich history which is quite engaging. Originally the area that would become Laguna Niguel was occupied by a tribe of Native American’s called the Juaneno Indian’s. From there they land became part of the Mexican land grant, Juan Avila. Mr. Juan Avila after a lengthy and costly legal battle retained ownership of the land even after California became an American Territory in 1848. It was in 1895 that the land was passed to a new owner, Lewis Moulton owner of the Moulton Company. Mr. Moulton acquired most of the land from farmers who where struggling against an ongoing drought and had lost most of their crops and livestock to the said drought. Like the schools in surrounding cities, schools in Laguna Niguel are all governed by the Capistrano Unified School District which means that any student attending such schools is going to be received one of the best educations available. Whether you have a child that attends Marian Bergeson Elementary School or Aliso Niguel High School, rest assured your children have access to some of the best materials and teachers California has to offer. Adults looking to broaden their educational horizons also have access to Saddleback College which is located just “down the street” in nearby Mission Viejo. Saddleback College is a popular educational institution with both high school graduates and those looking to refresh their knowledge. The outdoors is not for everyone and there are those of us who prefer to catch a good movie, play, or even attend a concert. Not to fear, Laguna Niguel proudly boasts several movie cinema’s for film buffs, concert halls for those who enjoy a day or evening of music and theatres where those individuals who prefer live action, can take in an evening play. When your day of play or relaxation has ended or you become hungry Laguna Niguel has plenty of good food to offer. Visitors and residents alike will find that a meal out can take the form of anything from fast food to fine dining and everything else in between. Many of us enjoy a home cooked meal but don’t always have the time to cook that meal. If you fit into that scenario you may want to pay a visit to Mollie’s Country Kitchen which offers up home-style meals which taste great and can be had at a reasonable price. Perhaps you don’t always have time for breakfast. A good breakfast can make or break one’s day but when the time just isn’t there many residents pay a visit to “I Love Bagels” located with the city. Both healthy and filling the bagels at this Laguna Niguel mainstay will get you through the morning. When dinner time rolls around be certain that no matter what tastes please your pallet you’ll find something to satisfy. Restaurants ranging from Chinese to Mexican and to classic American tastes are all located here in Laguna Niguel.